'Aina Me Kalani is a non-profit educational foundation created to perpetuate the cultural and healing arts in Hawai'i. Our healing workshops and conferences seek to bridge the healing arts of Hawai'i with the alternative and complimentary healing arts of the east and west. 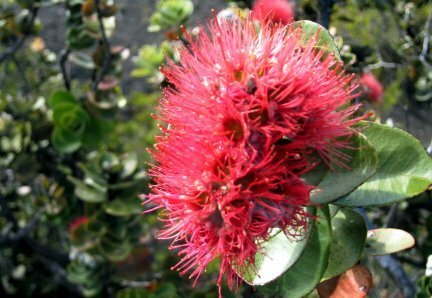 The indigenous healing techniques of lomilomi (massage), la'au lapa'au(use of medicinal plants) and ho'oponopono (conflict resolution through self awareness and forgiveness) are taught along with other spiritual forms of healing. Relax and rejuvenate your mind, emotion, body and spirit with a professional massage and bodywork at JD Bodywork. Offering a variety of different professional massages, Jason can sooth tired muscles and relieve aches, pains and stress. Select from deep tissue massage, Lomi Lomi, sports massage, myokinesthetic system treatments, Swedish massage, acupressure, hot stone massage and soothing body scrubs. This professional massage therapist specializes in Lomi Lomi Temple Style, a rite of passage that harmonizes both mind and body, a sacred jorney of transformation: happiness, love and peace. 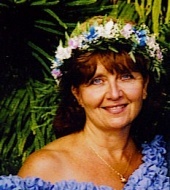 Sacred Bodywork provides massage continuing education courses based on the ancient traditions of Hawaii and Thailand. We are an approved Continuing Education provider by the National Certification Board NCBTMB# 450670-08, and by the State of Florida, Board of Massage Therapy -Florida CE Provider# 50-9043. Though different in application, both traditions are based on the application of compassionate, nurturing touch for the purpose of promoting balance on all levels (physical, emotional, mental, spiritual, energetic) in the recipient. Both modalities functioned for centuries as the primary form of medicine for their nations, and today, both are expanding beyond their original borders and offer powerful healing techniques to the world. We remain true to the traditions, while making them understandable and practical for the modern world. In all of our bodywork classes, participants will be guided carefully through demos, practice and explanations. Our goal is that each participant leave our classes with useful techniques to incorporate immediately into their repertoires. All classes are primarily hands-on demos and practice and will satisfy hands-on continuing education requirements. Training options include standalone classes, retreats and custom-designed spa staff training programs. Get quality training in the most amazing, high-demand modalities. 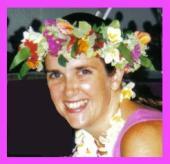 Learn Hawaiian Lomi Lomi and Pohaku Hawaiian Stone Therapy! Our Lomi Lomi courses are intensive but fun residential programs that are run over 6 days in the beautiful Byron Bay Hinterland. We have both beginner and advanced Lomi Lomi courses and keep our groups small to ensure that each participant gets maximum personal attention and support. "A great course. Tania created a very sacred space for us to all feel safe while massaging and being massaged. Very friendly and informal atmosphere. We learned so much without feeling pressured at all. I was surprised at how much we had learned by the end of the week." In regards to our Pohaku Hawaiian Stone Therapy (Hot Stone Massage) trainings, we run these as day courses on the Gold Coast. "The outline of this course was extremely good, very practical so it can be adapted to any style of massage. It was a very friendly and caring atmosphere which made learning it easy. Pohaku Hawaiian Stone Therapy will now be a focus in my clinic." This ancient healing modality is more than just the latest 'craze'. Hot Stone Therapy has experienced a modern day revival and is here to stay. Actually the current demand for skilled therapists in both Hawaiian Lomi Lomi and Hot Stone Therapy / Hot Stone Massage is stronger than ever! Courses in Ancient Shamanic Bodywork: Lomi Lomi Nui & Hawaiian Mysticism. Hawaiian Lomi Lomi training in the style of Auntie Margaret Machado of Kona, Hawaii.